Siwertell, part of Cargotec, has secured an order for a next generation, road-mobile ship unloader for an undisclosed client. The 10 000 S trailer-based, diesel-powered unit will be used to unload cement at a rated capacity of 300t/h. It will join the customer's existing Siwertell 10 000 S road-mobile unloader, which it has been operating successfully since 2015. "This contract adds to our growing list of repeat orders for road-mobile units," says Jörgen Ojeda, Siwertell Director of Mobile Unloaders. "The customer is very satisfied with the performance and reliability of its existing unit and turning to Siwertell technology once again was not a difficult decision. "Customers like the operational flexibility road-mobile unloaders offer, particularly for discharging ships at multiple locations. The road-mobile unit is an excellent choice in this case because the customer does not have its own terminal. It rents space at an available jetty when a cement vessel is due." 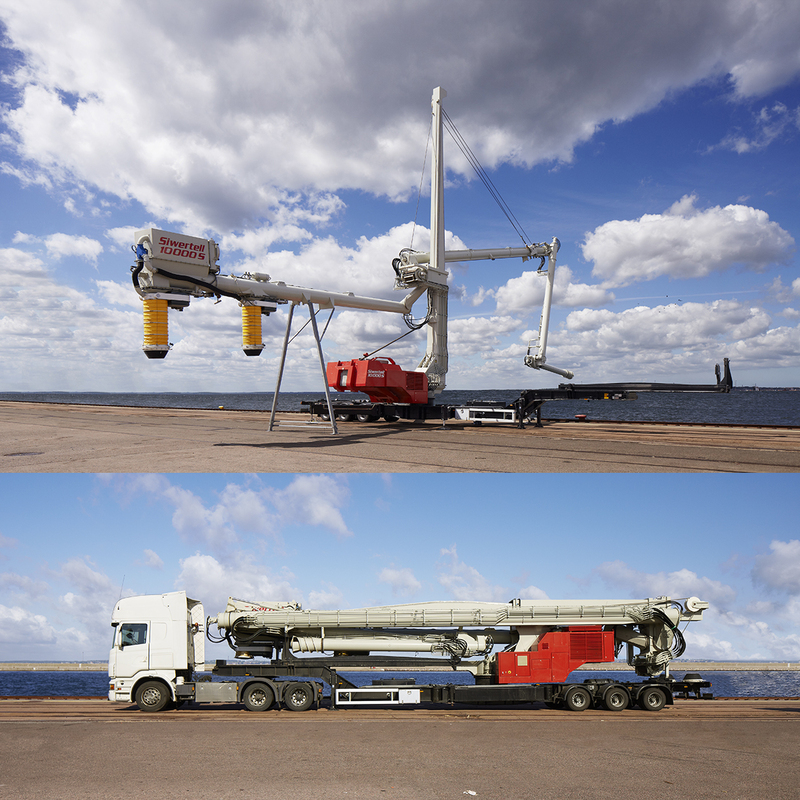 The road-mobile unloader is completely autonomous and does not require any installations on the jetty. It is quick and easy to deploy and when the unloading operation is finished the unit is folded up and driven back to the customer's premises ready for its next operation. The dust-free, environmentally-friendly operation means that there are no jetty clean-up costs. The new unit will be equipped with a dust filter and a double-bellows system, allowing uninterrupted discharge when changing between trucks or rail wagons. It will be constructed at Siwertell's premises in Bjuv, Sweden, with delivery scheduled for March 2017. The customer has signed a Siwertell Service Contract that covers both units. It includes two inspection and service visits each year, along with remote support and trouble-shooting via modem connection. It also provides valuable discounts for spare parts. "All our products are inherently robust and reliable, but proper care and maintenance are important for a long working life with minimal downtime," says Mr Ojeda. "Our service contracts provide a cost-effective way for owners to protect their investments and get the best results from them."